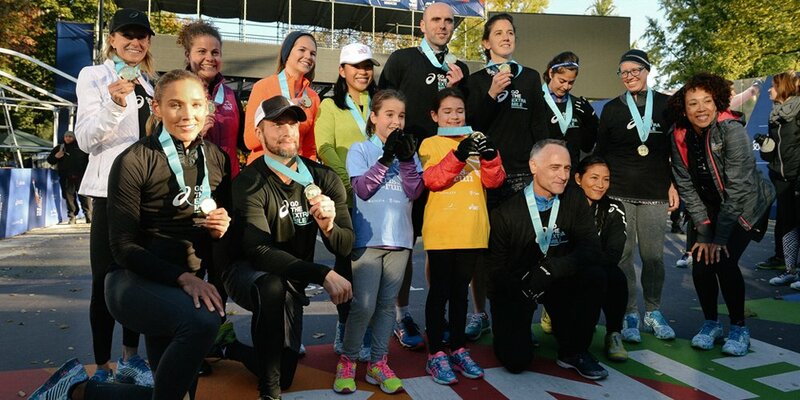 Girls on the Run NYC enjoyed an incredible weekend with our 2016 TCS New York City Marathon SoleMates, our Girls on the Run, and our friends at ASICS including their elite athletes and thousands of people across the country running the #ExtraMile for our girls! 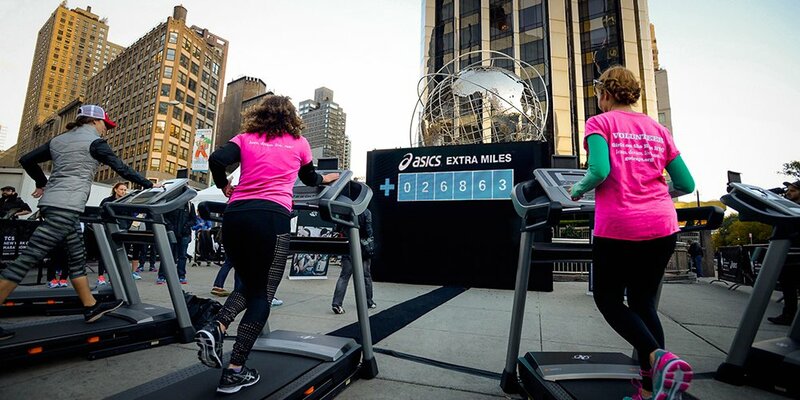 Girls on the Run team members take to the treadmills on Friday morning in Columbus Circle to be the first to run an #ExtraMile to support Girls on the Run! 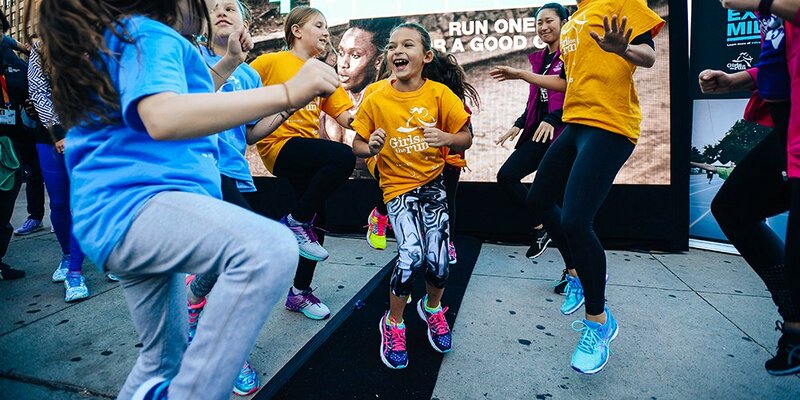 For every mile on the treadmill, ASICS donated a pair of shoes to GOTR. ASICS is outfitting our girls to show their support! These Girls on the Run came to thank everyone who joined the #ExtraMile challenge in Columbus Circle! Our girls got to meet ASICS athletes including Queen Harrison, a hurdler and sprinter and 2008 Olympian. Our team did warm-ups and energy awards for everyone in Columbus Circle who were supporting Girls on the Run! On Monday morning, two of our Girls on the Run got to meet Deena Kastor and tell her about why they are so proud to be in the GOTR Program. Our Girls on the Run led the way on Monday in running the #ExtraMile with ASICS for Girls on the Run! 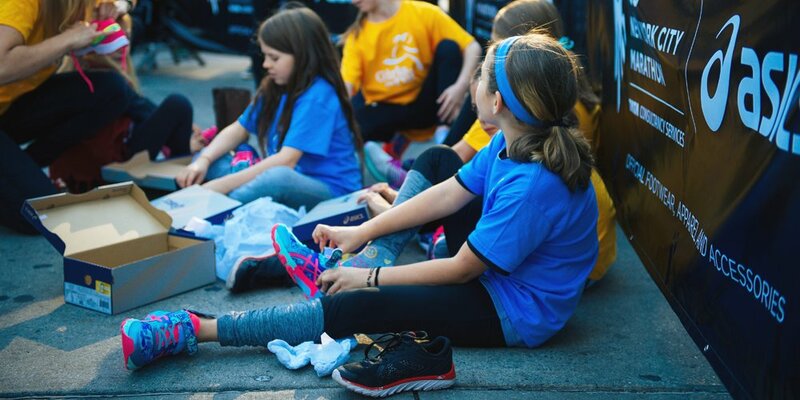 For every runner in this event, ASICS donated a pair of shoes to GOTR. Our girls celebrated with ASICS athletes including Lolo Jones, Deena Kastor, and Gwen Jorgensen along with New York Road Runners President Michael Capiraso and ASICS VP of Marketing Roeya Vaughan.